In its civil society shadow report a wide coalition of civil society organizations from Germany formulates analyses, criticism and recommendations for action in 17 areas, from poverty in old age to German foreign policy. The report opens with cross-sectoral analyses on areas that cannot be sufficiently located within the logic of the 17 SDGs, as for example, on the subject area ‘populism’ or the issue of international tax cooperation. 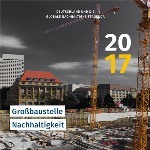 The report also addresses the policies of the German government, whatever political configuration may come out after the federal election in September of 2017. The report concludes that "relying on a change in awareness of consumers and producers alone will not bring us closer to the goal of sustainability fast enough." Source: Germany National Report 2017.